We live in an digital age, “the present time, when most information is in a digital form [..]” (Cambridge Dictionary, 2016). This analysis will critically explore the genre of news by examining both established news corporation content and the digital news channel Student Yak, and the episode “Let´s Go Viral”. It will do this by looking at the different elements that can be found in news such as concept and brand development, audience, platforms, presentation, storytelling and development. The report will discuss in what way research from these elements has contributed to influence, as well as to develop the idea and production of Student Yak. Additionally it will thoroughly look at and examine the reasoning behind the decisions made in relation to the production. “If news is to be worthwhile, it should accord to something we value” (Chapman, 2009: 59) which as a brand was something we took into deep consideration while creating our concept. While developing the brand of Student Yak we knew, as students ourselves, that we had to develop a concept that we would value and believe would be worthwhile our time, in order to know that our target audience would be interested. 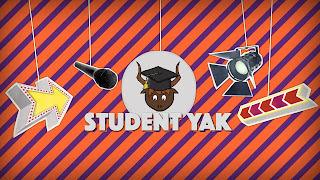 “Student Yak aims to find entertaining news and views from all corners of the internet, and bring it to [..]” students (student yak, 2016) We wanted our potential audience to be engaged in and with the content, as well as to be able to relate to and feel connected to the channel and each other, as an audience. In order to achieve these goals, we decided to incorporate humor and a lightness to our news, as well as we had to find out how our content could be categorized in order to interest and capture the audience´s attention. After doing research I found that our channel uses the ‘News as Infotainment’ method to convey its content. This is a “type of media which provides a combination of information and entertainment” (Demers, 2009), that makes it easier for younger audiences to find the news channel relatable, useful and fun. In the constantly evolving media and news circus of the digital age we live in today, a channel´s branding is crucial for its reputation, recognition factor, affiliation and furthermore its credibility in order to as Chapman states “underpin their reliability and impartiality” (Chapman, 2009: 219). 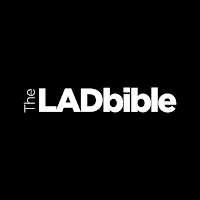 One of the digital brands that contributed to inspire to some of the choices made for Student Yak, is The successful LadBible (fig. 1). This channel has a very minimalistic logo design and aesthetically pleasing colour palette consisting of the colours white and black that contributes to convey the brand´s name in a clear and precise way and strengthen the credibility of the brand. 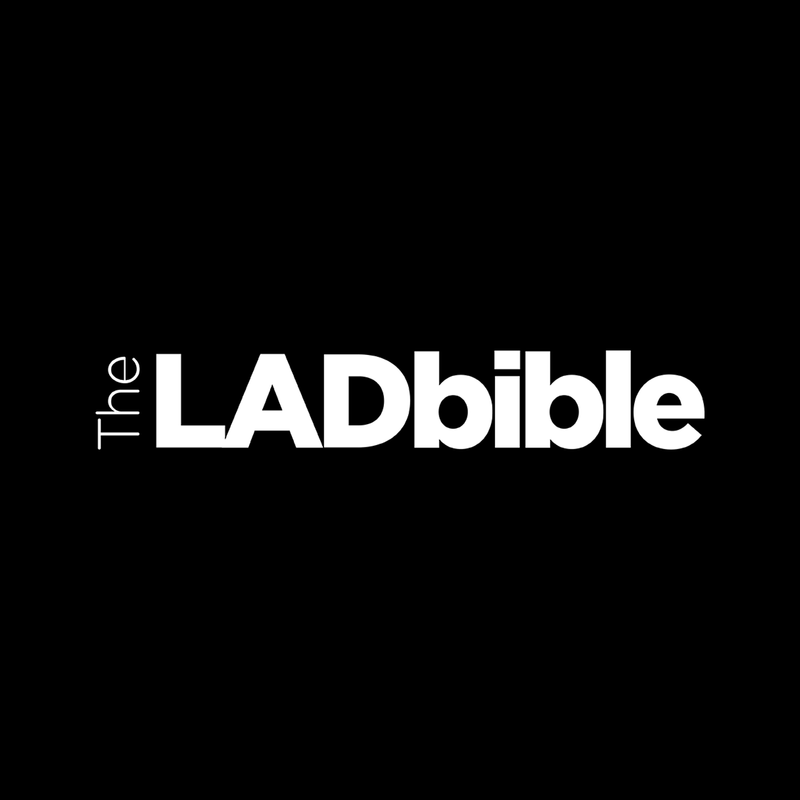 Influenced by The LadBible´s simple colours, our digital news channel Student Yak uses a colour palette consisting of three colours – white, orange and purple (Fig. 2). Whereas the colour white represents purity, simplicity and has a positive connotation. Orange highlights, catch attention as well as produce energy that contributes to mental activity and which makes the colour highly accepted amongst young people. Purple represents ambition, independence and creativity. The two colours, orange and purple, was carefully selected as they are complimentary colours (Fig. 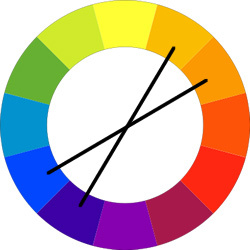 3) and combined the darker shade of purple evoke and can cause frustration, while the bright shade of orange engages the audience mentally and affects the audience of young people subconsciously to engage and get involved with the content, news cases and themes brought up on the channel. The overall style and design of Student Yak is created and developed to be suitable for a young audience, it is not supposed to be a formal news show, in contrast to traditional television news channels such as BBC or ITV, known for their simplicity in colours used to gain trustworthiness. – Student Yak´s simplicity but boldness in colour choices with wild pattern to engage a young audience, whereas it is a more relaxed genre of television in a new era of the digital age. The Television broadcast show and online YouTube channel “The Tonight Show Starring Jimmy Fallon,” has been of big importance to our content development, production value as well as storytelling style. In particular the two-episode series, published in April and May this year 2016 called “Topical Waffle” – “Topical Waffle is a web show news squish that covers everything [..] Politics, Sports, Movies, TV” (YouTube, 2016). Whereas it has a humorous take on presenting news, adding visual effects as well as having a well planned sound design to add on to and emphasise the content and its ridiculousness. The target age group for this television show would estimated to be between 16-50 years old. However, when it comes to Student Yak, although it was decided during the creation of the channel and brand that the target age group for our production was 18-30 year olds. The content created and channel design that was carried out, resulted in being rather more suitable for a younger audience, 15-20 year olds, as of the logo design, webpage and way the script and humour was presented on screen. Looking at Jimmy Fallon´s YouTube channel with 12,6 million subscribers it is clear that it can be stated that young people in this age range do pay attention to news and engage with it, as long as it is offered to them through the right platforms and the topics are interesting and relevant. A general look into the YouTube world on some of the biggest YouTubers, such as Zoella (11,3 mill subs, YouTube, 2016), PewDiePie (50,5 mill subs, YouTube, 2016) and nigahiga (18,8 mill subs, YouTube, 2016) reveals by looking at their amount of subscribers, views and comments that a young audience, such as students, like to engage in topics brought up by public personalities – whereas they talk about news the audience have requested or that the YouTubers know the audience will like. Which confirms that students desire and want news content, but perhaps not in a typical and traditional standardized news program kind of way, potentially rather customized with the viewer in mind. As well as they have a saying in what is brought up, and in that way they contribute to set the news agenda. With Student Yak as our news brand, the way we went about to create our content was by choosing our own stories and setting the news agenda by taking in to consideration our own interests, demands, needs and looking at the topics we feel is not talked about enough or maybe not even mentioned at all yet and bring these into focus. However even though we as a news channel are entitled to set the agenda for our own production, we wanted to step into the new way of creating news agenda, by including the audience in the decision making of what is important to them. To get to know what they want to see, we set up a Twitter account, a Facebook account, YouTube Channel and a website. As we wanted to connect with, as well as to create a sense of unity and relationship with the viewers, encouraging them to get involved, share stories and contribute to shape what is important to them, to us and to others. “The vast majority (90%) of 16-24 year olds own[..]” (Ofcom, 2015) a smartphone as of today, whereas this with super fast 3 and 4G allows for content to be available to the user, at any time they wish to access it. This has become a game changer when it comes to the television industry and broadcasters in general, as a lot of them gradually as a result of the continuously evolving technology develops, have had to start to adapt their content to fit on social media platforms. To do is crucial as in order to connect with their audiences, and . Our TV viewing habits are changing – “Most 16-24 year olds are watching on-demand and catch up programmes on computers and smartphones rather than on a TV connected to a set-top box.” (Ofcom, 2015) which tells us that the way in which the audience is now able to customize their own television viewing will have a large impact on how we not only consume but will have to create content. However, “[..]despite the growth in online viewing, TV still reaches the overwhelming majority of people. Over 90% (92%) watch TV each week, down slightly from 93% in 2013.” (Ofcom, 2015) Which confirms that Television will still be around, but that mainly the form of how and on which platform we consume it from might change completely with time. Through the research conducted it was found that in order to reach the target group, students, the channel would have to adapt and truly pay attention to the branding, platforms and in what way entertainment would affect the interest from the students. Due to the fact of a constantly evolving and educated audience, all used to the typical structures and styles of news reporting the element of entertainment is key. When it comes to news, despite platform no matter where it is broadcast from or published to, the way it is presented is massively crucial for several reasons, such as credibility, engaging the audience and when first captured the attention of the audience – being able to keep them there, in their seats in their very own homes. How the news is presented is also important as to getting the points and information across to the audience. Location wise TV News are most often filmed inside studios, either with in real life set design, virtually created studios when working with green screen or a combination of the two. “if there are no pictures, ... there is no story” (Chapman, 2009: 98), therefore with Student Yak we wanted to make sure that with the use of graphics on screen, along with picture and video referencing it would contribute to tell the story in a better way. Compared to if we were to only have our presenter in front of camera, without anything happening and engaging the audience. In association with the internet, we have something called meta element. The meta element provides information about the web page and can be used by search engines to help categorise the page correctly. They are tags that are used in HTML as well as XHTML documents to provide structured metadata. How the metadata is set up has an effect to how the rules on search engines read them and rank the different websites. Meta elements in film and television production, means that the characters step out of the action and addresses the audience directly. Just like the internet uses metadata to step out and detect using the tags to see what is most popular amongst websites, as well as to rank them. One of the important things with this, is that the presenter is stepping out of the action and directly, as well as actively addressing the audience. Additionally, as a brand, we will use our web page to collect important information from the audience. In the form that they will give us feedback and we will be in direct contact with them collect "metadata" on what it is that they care about and want to see the content of. With the vast coverage of viral videos online and the internet content relevant to Student Yak, channelled and broadcast out to a younger audience, students, there was challenges on how to stay original and stand out amongst all other online content available. Therefore we decided to look at what we find interesting and engaging that gets brought to us through social media everyday. Viral videos, “A viral video is any clip of animation or film that is spread rapidly through online sharing.” (Techopedia, 2016) Which resulted in wanting to find out “How to go Viral”, for instance “television has always had commercials, but social media and the Internet have changed the way they’re presented. For instance, companies are always trying to come up with commercials that’ll turn into viral videos on YouTube.” (Social Media Explorer, 2014) We therefore decided to look into this, and try to go viral ourselves, as there is a constant demand or desire for fun and ridiculous viral content. We explored reporting style on other big channels such as Late night starring Jimmy Fallon, BBC, CNN, ITV and NRK (Norwegian broadcasting) as to how we in the best, and most engaging way possible could present our news for the set target audience. We ended up gathering inspiration from all of the different channels, and combined with the theory gained through the unit we set up a structure as to the news genre requirements consisting of an introduction, package – a step by step guide to how to go viral, interview with a YouTuber relevant to our topic and platform, live-piece where we tried to go viral ourselves live with a water bottle challenge, pieces to camera – meta, GFX and conclusion combined with a round up and informational ending. We chose to have two presenters, one main presenter and one co-presenter for the live piece, it was an important decision we made to use students as presenters as well as the contestants in the water bottle flip challenge were students, as we felt this best represents and conveys our content out to the audience in a believable and trustworthy way. 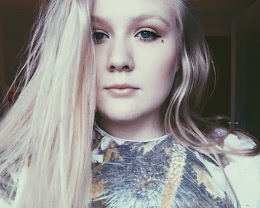 However one of the few aspects from the production that slowed down pace and lowered engagement and interest, was the set up interview with local YouTuber, Kaite Joslin. The interview set up was rather standardized, with set questions not following up on “in the moment” answers leaving the chat between presenter and interview object more formal and uptight than sought for. It may also not have been paid good enough attention to the interview as a whole, and instead have created the interview in the sense of it being a necessity to fulfil the criteria of being a news channel. Not reflecting on how the interview set up at least could have been more engaging, revolutionary or fun. Affecting the overall fast pace, and snappy edit of the rest of the episode, in a negative way. However there waere steps taken in post production in order to weigh up for this. Suitable fast paced music was added as well as, on screen pop-up images accompanied with interesting sound design. Nevertheless, thanks to the massive amount of research into viral videos and how people becomes internet sensations over night, as part of the assembly of the script, reflects and portrays the channels credibility, value and quality. The positive results of the channel production is due to inspiration from and research into other student channels or content, as well as looking at generic news channels and deciding what to, and what to not take on board for the Student Yak Channel development has been key for its success and final result in production value.As the audiences are getting more sophisticated in the sense of themselves controlling what to watch when, and wherever they want. In relation to that, Student Yak does fit into the criteria of digital news channels, and programs. Adapting to the changing media circus basing itself out from platforms reachable and popular for the target audience. Additionally Student Yak being a new take on news by the use of humour, and relevant topics for students, it does make use of concept, branding, audience, platform, presentation and structure contribute to set the agenda for students, as well as having a contemporary take on the news genre itself. By being broadcasted on digital platforms, and conveying news stories important and interesting with the audience in mind and and also considered as new media. It does not use the exact standardized traditional television news, but manages to contain a somewhat similar structure and fulfils the criteria of a digital news channel. Stella Cottrell, 2005. Critical Thinking Skills (Palgrave Study Skills). Edition. Palgrave Macmillan. Chapman, Jane (2009) Broadcast Journalism: A Critical Introduction. London: Routledge. studentyak. 2016. studentyak. [ONLINE] At: http://studentyak.wixsite.com/studentyak. (Accessed 04.12.2016). Demers, David (2009) Dictionary of Mass Communication and Media Research: A Guide for Students, Scholars and Professionals. US: Marquette Books.